In October, I attended a surprise wedding. Partygoers showed up for what we thought was a birthday party, but the birthday boy and his longtime girlfriend surprised us with a wedding. However, the real jaw-dropper came when I asked the bride, Erika, about her gorgeous gown. They’d planned the whole wedding in under a month—Where did she get the dress? Who did she shop with? How did she have the time to get it fitted? “Amazon Prime, baby!,” she replied, twirling in a dress that looked both high-end and custom-fitted. 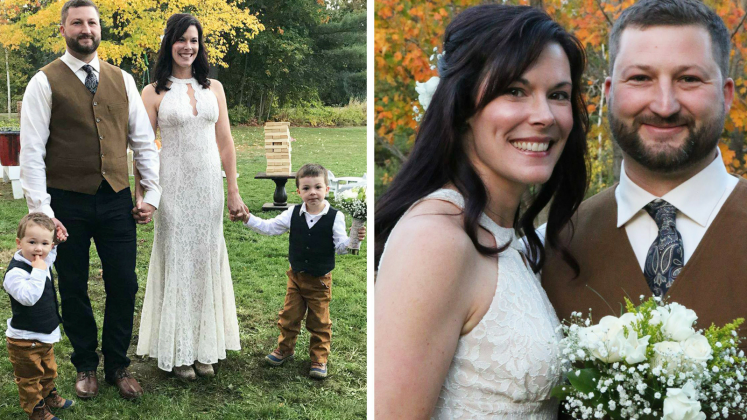 Shopping online for everyday clothing can be daunting, so the thought to shop for something as momentous as wedding dress online hadn’t ever crossed my mind—Until I saw Erika in her stunning off-the-rack (out-of-the-pack?) Lace Keyhole Mermaid Gown ($119). 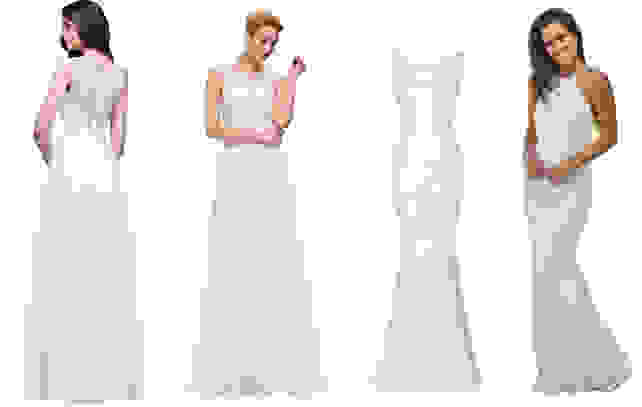 I picked the bride's brain to find out how to buy a wedding dress online, if it beats shopping in-store, and how to find The One without spending a fortune or losing your mind. Erika began by shopping in-store, but she knew she wanted a low-key experience and dress. She had trouble finding bridal stores that didn't subscribe to the hype around dress shopping. "The second I walked in, I knew it wasn’t for me. It's their job to make a big deal of your wedding day and they do it well. I had to shop in a way that worked for me." 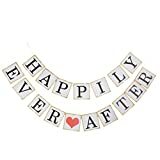 Put simply, mom-of-two Erika says, “Shopping online fit perfectly into my schedule—For me it was better than shopping in-store.” Sans bells and whistles, Erika found her wedding gown while sitting on her couch. This bride didn't much care about the theatrics of wedding dress shopping, but those looking for the traditional fanfare that comes with finding The Dress may be better off in-store. Erika took to searching for dresses online by keyword. "I Googled 'mermaid style, sequin, lace, gown, prom dress, fitted.' Lots of images that I liked came up, and many of them were on Amazon. Once I narrowed down that I wanted an ivory mermaid-style dress with lace, I searched [by] style, color, price and return process." Those customizable options are how she found her dress quickly and easily. 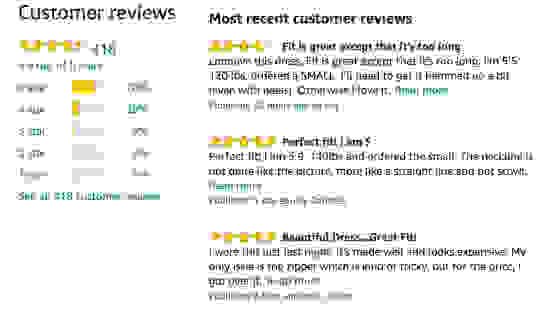 Erika relied heavily on first-hand testimonies and user reviews to guide her purchases. "It was helpful when customers wrote the size they normally wear, the size dress they ordered, and how it fit." Erika still played it safe: "I ordered two sizes of every dress. Lucky for me, I found one that I loved in my first order. The thought [to tailor my dress] never even crossed my mind!" Erika ordered five dress candidates in total. She chose one from Saved by the Dress, an affordable, Miami-based boutique with free 2-3 day shipping on all orders. Erika prioritized fast and free shipping, and free returns. "I wasn’t going to pay a lot for my dress and I wasn’t going to pay a lot in returns either," she says. The dresses all arrived quickly, so she was easily able to try them each on and decide on The One without ceremony or hassle. When the dresses arrived, Erika turned her bedroom into a bustling fitting room. "I knew if I didn’t like the dress or it didn’t fit, then I could send it back and get another dress to try in two days." She bought four other styles via Amazon Prime. "Everything else in my busy life comes from Amazon Prime, so why not my wedding dress?” Touché. She ordered a Mermaid Evening Dress for $49, a Lace Evening Gown for $69, a Chiffon V-Back Evening Dress for $73, and a Beige Lace Maxi Dress for $60. She returned any dress that wasn't right—via free shipping—for a full refund. "I stuffed them all back in the packaging as nice as I could, printed the return slip and to the post office I went. No problems at all! It was stress-free, hassle-free, and fun." The scariest part of shopping online is the risk of getting an item delivered that looks nothing like the advertised garment—or terrible quality. We've all heard horror stories. But Erika says, "I was pleasantly surprised that the dresses [matched] the descriptions. If I returned them it was due to me not liking the style," not due to poor quality or misleading advertising. After seeing and feeling her dress, I would have never guessed it was from Amazon for around $100.